If you are thinking of buying a home in 2018, you should seriously consider buying sooner rather than later. Why? 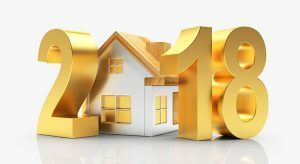 MBA, Fannie Mae and Freddie Mac all project interest rates will go up next year and it is projected that home values will appreciate by 4.7% next year as well. While that may not sound like much, when you put it down on paper it can add up to a substantial amount of money. Click here to read more, and give me a call to get started on your home search today!